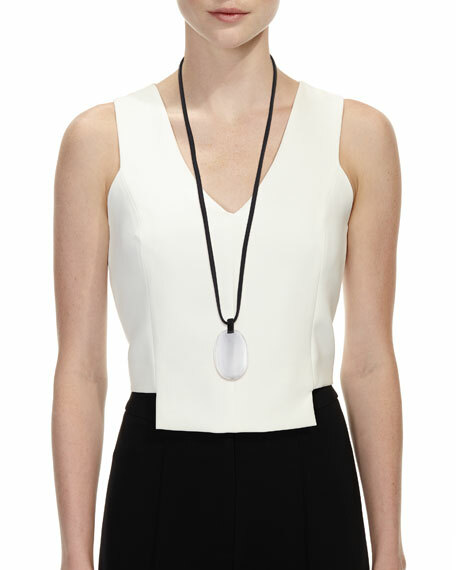 Necklace by Monica Rich Kosann. Engraved "Carpe Diem" across gold ring. Black steel cable chain. 18-karat yellow gold. 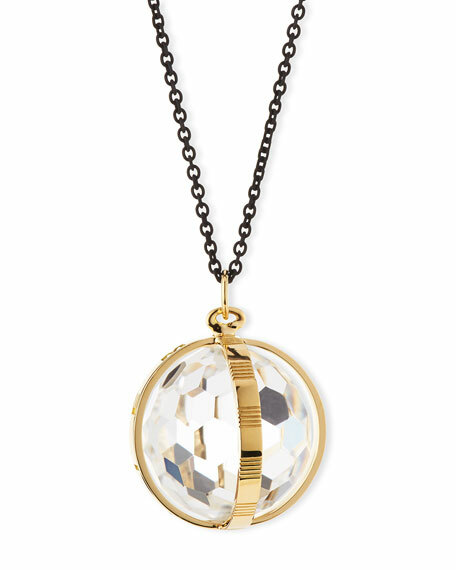 Faceted crystal pendant. 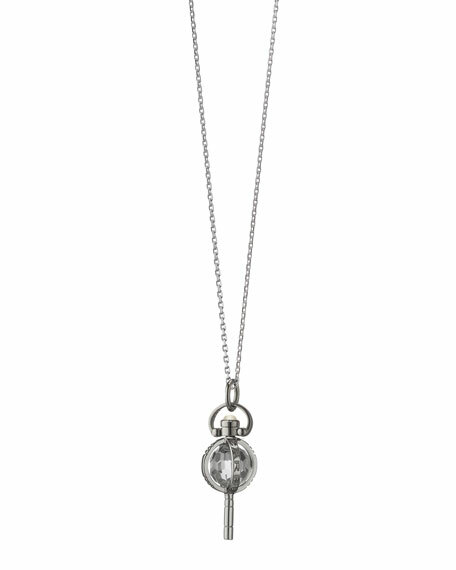 Necklace, 30"L; 1.3" pendant drop. Lobster clasp. Made in USA of imported material. 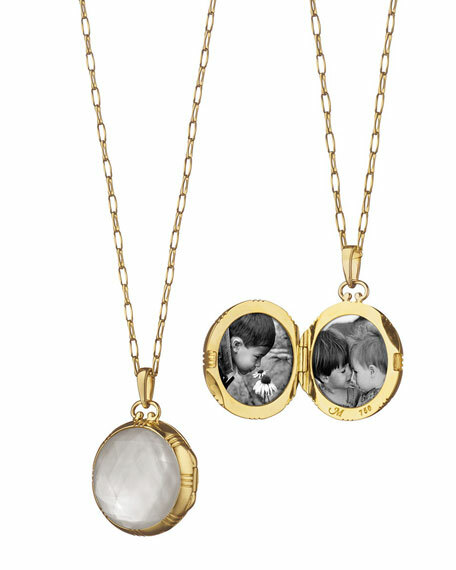 Locket necklace by Monica Rich Kosann. 18-karat yellow gold. 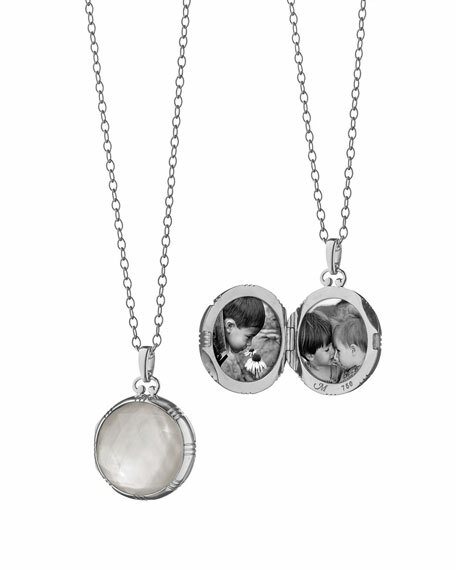 Round locket front features white rock crystal and mother-of-pearl doublet. Woven chain necklace. 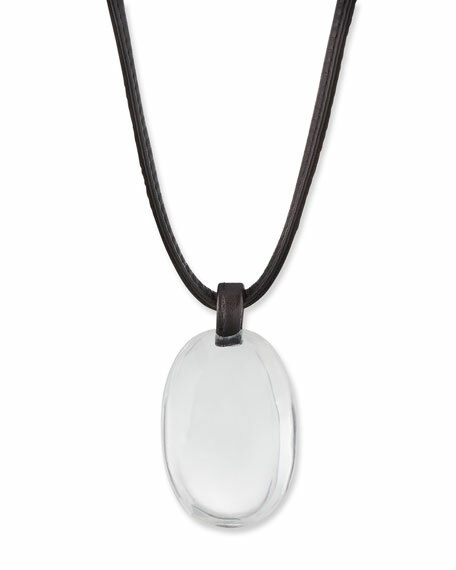 Pendant, 3/4"L. Necklace, 30"L. Imported.